Nick Kaufman was riding his bike when a dog crossed his path. Call him lazy, but instead of getting off the bike and chasing the dog away, he decided to move the pooch out of his way with a little nudge of his wheel. On that day in 1893, radball, aka cycle ball, was born (luckily, for all the dogs of the world, Kaufmann had the bright idea of swapping a dog for a ball in the game). This football game on wheels is played by two competing teams, each consisting of two players. The first official radball tournament took place in 1930. Since then, except for the years of World War II, there has been a world cup every year. 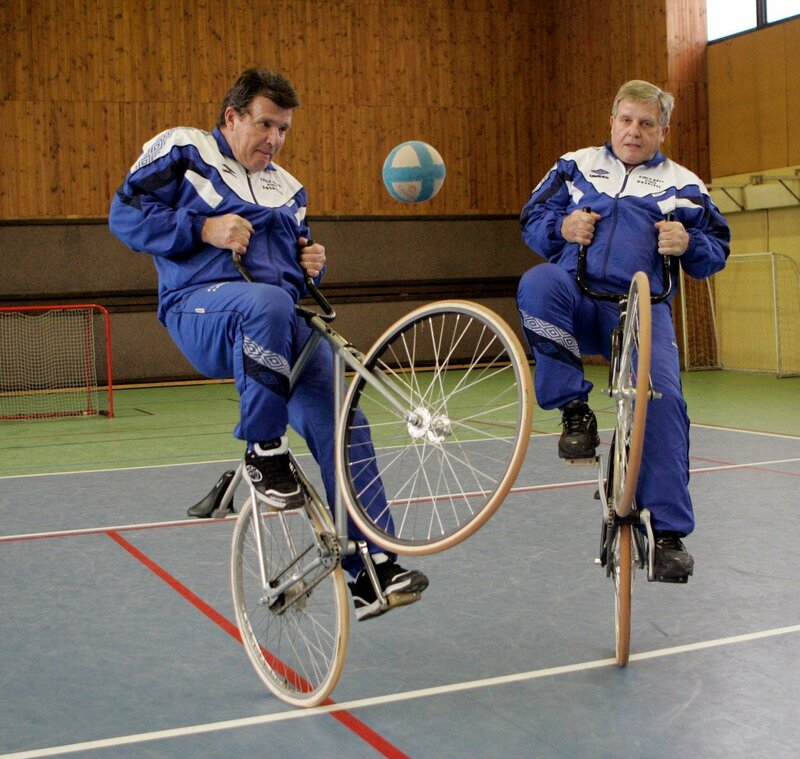 One of the most famous radball duos, and definitely the most successful one, consisted of two Czechoslovak brothers – Jindrich (*1942) and Jan Pospisil (*1945). On their path to success, they were accompanied by their Austrian coach Harth who, in their own words, was like a father to them. But let’s keep in mind that we’re in the 60s – the time of the Cold War and tough socialism in former Czechoslovakia. The regime didn’t like the image of the talented brothers being coached by a Westerner and pushed them to replace him for someone more politically ‘convenient’. However, Pospisil brothers never left their beloved coach. 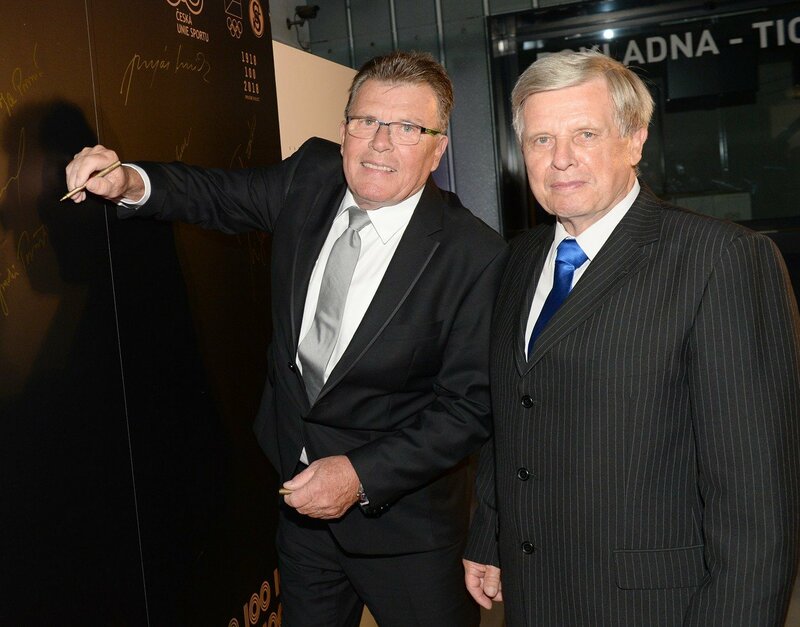 As Jan was still underage, the first World Cup was attended only by the older brother, Jindrich, who teamed up with his colleague Jaroslav Svoboda. It took place in 1960 in Mulhouse, France. The first match went great – they started off with a score of 12:1. But before they had a chance to play the following matches, the team received an order to leave the championship and return to Czechoslovakia. Immediately. Only later it was revealed that the team of German Democratic Republic (part of the Eastern Bloc) wasn’t granted French visa. Such a gesture couldn’t be left without a reaction from the Eastern bloc (i. e. Moscow). All Eastern teams or none, it was. Jindrich came back to Czechoslovakia and later in 1963, he exchanged his then team-mate Svoboda for his brother Jan. In 1964, the Pospisils attended their first championship together and won a silver medal. A year after, they went straight for the World Cup gold. But being allowed to leave Czechoslovakia and attend world championships wasn’t something to be taken for granted (still in the socialist era, remember?). So, to be able to attend the World Cups and represent their country, the Pospisil brothers had to enter the Communist Party of Czechoslovakia. Since 1964, still accompanied by coach Harth, the Pospisil brothers have won the world championship 20 times. Between 1968 and 1981, there wasn’t anyone to cut off their streak of victories! The Pospisils won their last gold in 1988 and quit their professional career. They offered their services to train the incoming generation of radball players. 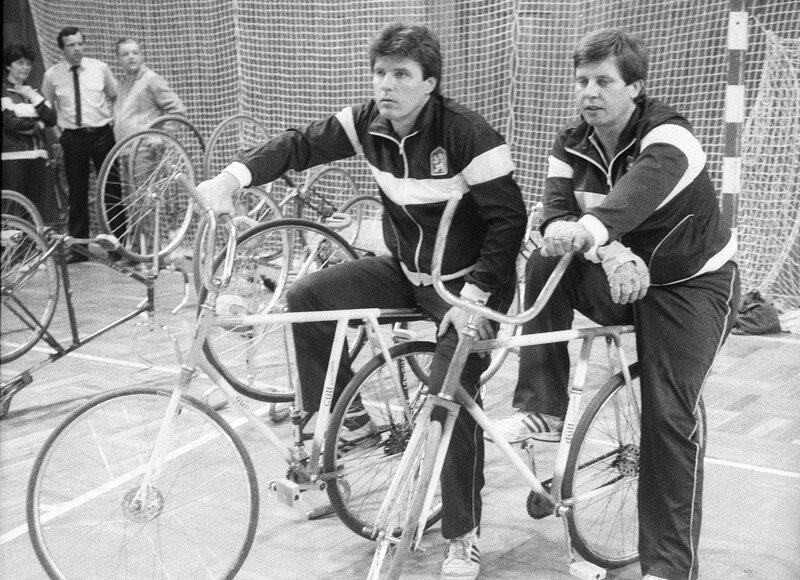 In 1989, under their supervision, new Czechoslovak players Miroslav Berger and Miroslav Kratochvil dominated the championship. Later on, however, the credit for training the new gold team was assigned to their long-term coach Jaroslav Svoboda. Also, when the Pospisils offered to train other teams, they were turned down as the regime no longer had an interest in them. So they left the country. Jindrich relocated to Austria where, while finding a new job, he actively played radball. Jan moved to Switzerland where he trained Swiss radball champions. Nowadays, both brothers live back in their hometown of Brno in the Czech Republic. Jindrich still takes care of the Czech radball scene. So, from time to time, he still hops back on the saddle. Aside from the eternal who-drinks-all-the-beer competition between the Czech Republic and Germany, there has also been a very close radball competition. The Pospisil brothers were by far the most successful team in radball’s history. However, as for the number of gold medals per country – with 31, Germany ultimately wins over the Czech Republic which has 25. Third in the row comes Switzerland with 18 gold medals. 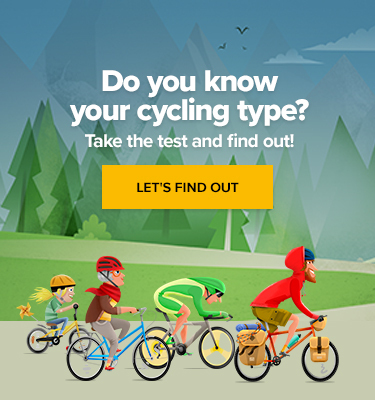 But there has been an interesting twist these days as the last couple of years, the radball scene has been dominated by talented Austrian players. Since 2011, they have claimed the gold six times! Are they good enough to challenge the top three? We shall see.